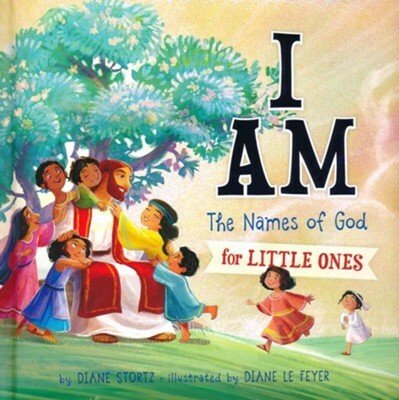 I am always excited to check out different children's books and I was happy to read and review I Am: The Names of God for Little Ones. The pictures in this book are colorful and nice. This would be a good book for parents of preschoolers and young school-aged kids to read together and discuss. I love the glitter on the cover of this book. I like the pictures in the book. I don't really get why this is a board book. It would make more sense as a hardcover book for families to read together. It's not really for babies or toddlers. I know that everyone has their own beliefs about what is going to happen at the end of time but I did not like the fact that this book shared one type of belief regarding that as fact. I do not fully understand Revelation or what is to come in the future but I would not feel comfortable reading this book to children and sharing it's talk of Jesus coming back to reign on earth. Overall, I cannot recommend this book. I give I Am: The Names of God for Little Ones 2 out of 5 stars.